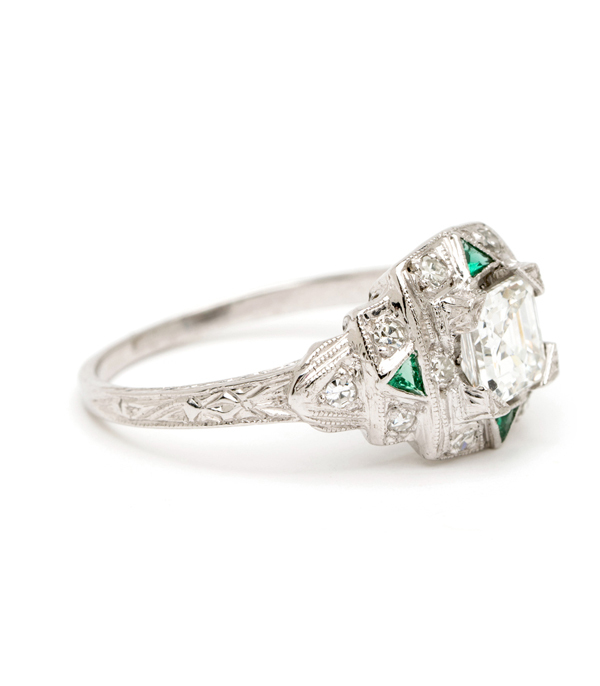 A stunning vintage engagement ring with a modern edgy appeal. 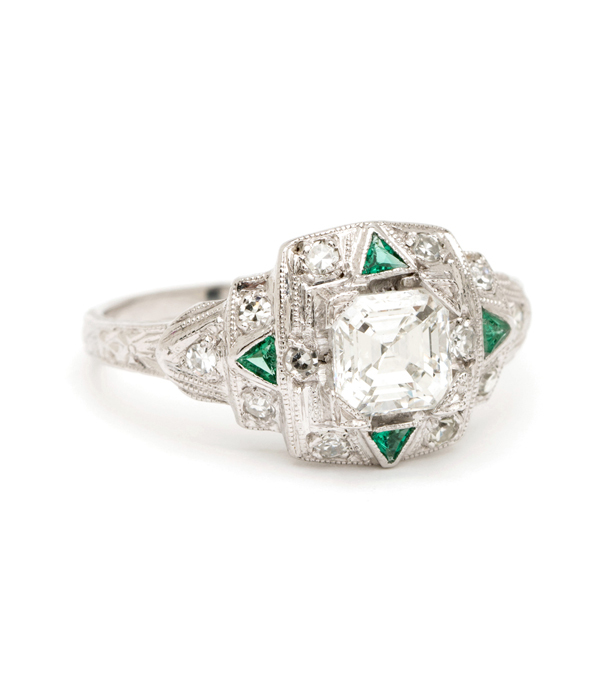 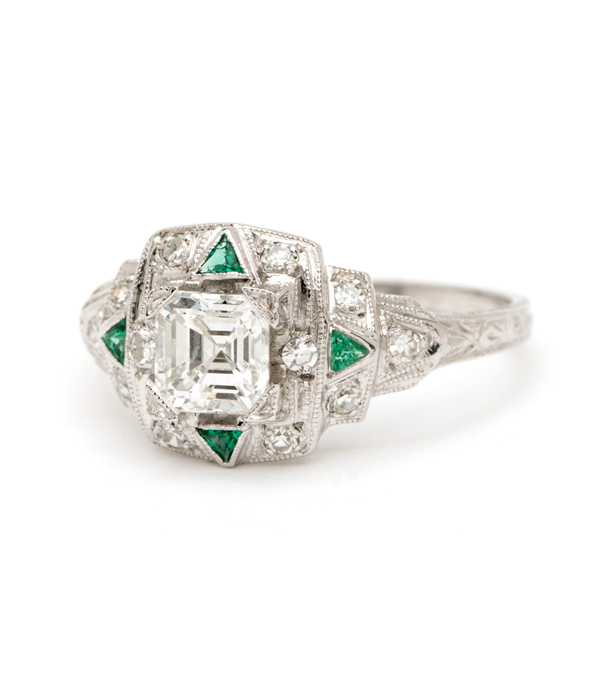 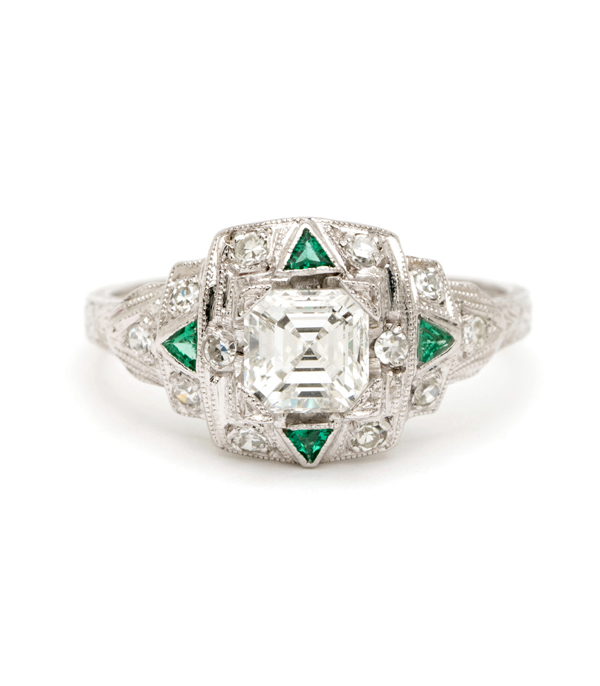 This platinum art deco style ring features a 0.75ct asscher cut diamond center (G, VS1) set within a square shaped frame, with single cut diamond accents and is highlighted with 4 triangular synthetic emerald accents. 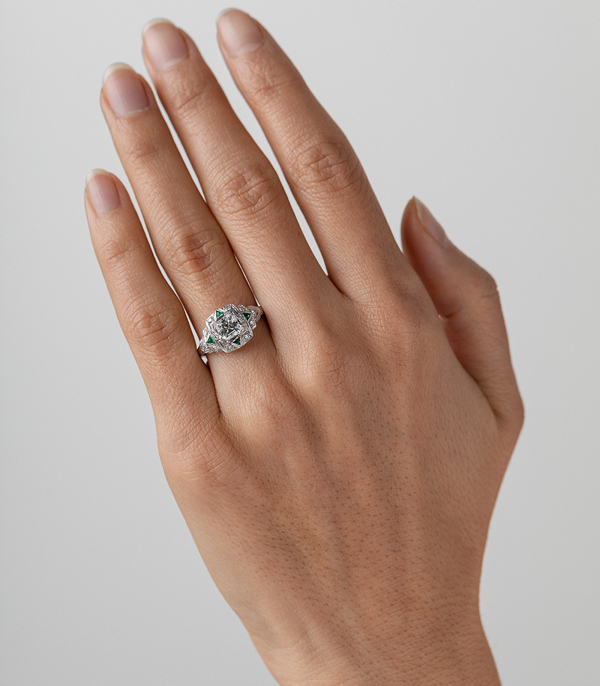 We are in love with the details of this geometric design and this mesmerizing center stone.